There is not much written about William Brown. We know he was the son of Benjamin Brown of Hampton and his wife Sarah Brown of Salisbury. His father, Benjamin, inherited much of his father's farm, known as Brown's farm. In a deed in 1720 he gave William two pieces of land and one piece of marsh. William had already built a house and barn and was living on that land when he was finally given the rights to it. This was a common way for a man to hold onto his land until close to his death and yet allow his son to make use of it without outright owning it. On 9 June 1701, at the age of twenty one, he married Ann Heath, the sixteen year old daughter of John Heath and Sarah Partridge Heath of Haverhill, MA. Their first child was born, predictably, about a year later. They had at least ten children, William died in 1725, his youngest child was not quite a year old at the time. William began buying land in 1707. For the next several years he made multiple purchases of land. Some of it marsh land along the beach and some of it land in the First West Division. From his deeds we know that he was a weaver by trade. He seems to be the first in his family to have an occupation other than farmer. On the 26th of August 1725, William Brown was a sick man. He was only 45 years old, but he was dying. He wrote his will on that day. We don't know when he died but it was before the 26th of October, as that was when an application was made to inventory his estate, so he had to have been dead by that date. His will confirms that he was a weaver, as he leaves his loom and tackle to one of his children. He names in his will four sons: William, Benjamin, Nehemiah and Stephen and his daughters: Rachel, Sarah, Ann and Elizabeth and Lydia. Rachel, Sarah and possibly Anna were all married before their father's death. The youngest child, Stephen was only about one year old. Ann, his widow, never remarried. 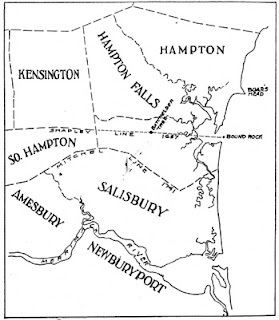 The land that William had bought in his many transactions was in the First West Division of Hampton. 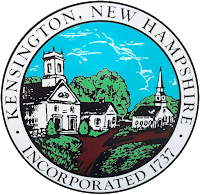 This area was set off from Hampton Falls in 1761 and became Kensington. So although it looks as if the family moved from Hampton to Kensington, it was merely a name change, not a location change. Ann and all her sons lived in the Kensington area. She may have lived with one of them. In 1764, she gave her son William's land to her sons Stephan and Benjamin. William Jr. had died with no wife or children, so his mother Ann was his heir. Ann herself died the next year on 7 August 1765 in Kensington. Item I give to my son Stephen an Equal Part with Benjamin & Nehemiah & to have my Land at ye great Hill & what that wanteth of his Part by measuer to be made up to him on ye West sid of my Land at home—&_all my mashs to be devided amongst my fows sons after thay all come to one & twenty years of age William to have his duble Part & ye rest all a Like in quantity . Benjamin Brown was born in about 1647 in Hampton, New Hampshire. He was the son of John and Sarah (unknown) Brown. John, his father, was one of the first settlers in Hampton, arriving there by 1640. His mother, Sarah, died in 1672. His father did not appear to remarry. Benjamin grew up in a large family with lots of brothers to share the work load. His father was one of the largest landowners in the town and played an important role in town government. Benjamin most likely lived at home and worked with his father until his marriage. Children were a necessary component of farm labor. Some men would hire farm workers until their own sons were old enough and able to work. Boys would begin doing farm work at around age eight. By their early teens, they were working a full day of hard labor. Children, did attend school, but only when they weren't needed on the farm. When Benjamin and his brothers Jacob and Thomas signed a deed, they each made a mark instead of writing their signatures. Jacob's mark looks like a 'J', but Benjamin's looks like a backwards '7'. In addition to farm work and some schooling, all able bodied men were expected to help in the defense of their towns and province. Boys began training for the militia at about age 16. It is believed that Benjamin and his brothers all served in the militia during the conflict known as King Philip's war. This conflict brought New England to it's knees in 1675/1676. The New Hampshire militia marched to the defense of towns in Massachusetts, some of which are now in Maine. King Philip and his Abenaki Warriors wiped whole towns off the face of the map. Despite the death of King Philip, raids by Indians continued. The incursions in and around Hampton were on a smaller scale than elsewhere, but there was some death and destruction in Hampton. In April of 1677 a farm was torched in Greenland and the owner killed. About two months later an attack occurred in Hampton and four men were killed. On 21 June 1677, Captain Benjamin Swett was ordered to muster his men and head for a rendezvous at Blackpoint in Maine. Benjamin Brown's youngest brother, seventeen year old Stephen, marched off to Maine with Swett and his men. He did not come home. He was killed in an ambush alongside Captain Swett. In 1679 he married Sarah Brown, daughter of William Brown and Elizabeth Murfurd Brown of Salisbury. He was thirty two, she was twenty one. They had ten children, all but one survived to adulthood. Benjamin settled on a part of his father's farm in Hampton near the Salisbury, Massachusetts border. It was common for a father to allow a son to establish a separate home on his, the father's, land, not deeding the land to his son until the bitter end. The area where the farm was located became part of Seabrook. Benjamin petitioned to have a road built to his farm, the road was known as Rocks Road and still is apparently. He was given land in Hampton Falls to compensate for land lost in building the road. There is not much to see on a satellite map of the area other than a Walmart and a power plant. Seabrook was not incorporated until 1768, so all his life, Benjamin lived in Hampton. In 1708 Benjamin and his brothers, Thomas and Jacob, drew up a land deed splitting up the land that had belonged to their brother John. John died unmarried and childless, so they were his heirs. Each of the three brothers made a mark in place of a signature, they did not know how to write their names. In 1713 Jacob sold his brother Benjamin his share of this land. Benjamin really began buying and selling land in about 1715. He was buying with his son's futures in mind. In 1720 he started the process of transferring his land to his sons. He gave William a deed to the land that he was already living on, including his house. He also gave him some marsh land. Benjamin gave his son Stephen land that he bought in the plantation of Kingston. Benjamin Jr. got the land that was once in Salisbury, MA but because of a shift in the border, was in Hampton. Sons, John, Thomas and Jeremiah split the land that had made up "John Brown's Farm". There were two houses on the land, one lived in by John and the other was Benjamin Sr. house. Thomas and Jeremiah were left this house. They had to work out how to split it up themselves. In 1723 Benjamin gave away the last of his cow common rights and in a final deed gave away all his stock, farm implement and household goods to Thomas and Jeremiah. He probably lived in his house with Thomas and Jeremiah until he died. In the bottom left corner of this map you can see Rocks Road and in the middle is Browns River. Brown's Farm would have been somewhere around there. Sarah is said to have died around 1730 and Benjamin around 1736. I have no idea where these dates come from or on what document they are based. Nathan Longfellow, the son of Anne Sewall and William Longfellow, was born in February of 1689/90. Anne came from a distinguished family, her brother Samuel Sewall was a Judge during the Salem Witch Trials. William was the son of William and Elizabeth Longfellow of Horsforth, England. He was not very successful in life and when he died at the relatively young age of forty he left an estate that was worth much less than his debt. Nathan, his son, was only about a year old when he died. Nathan was presumably raised by his mother and step father, Henry Short, who she married in 1692. There was no mention of guardianship of the children in William Longfellow's probate. Henry had seven children with his first wife Sarah Whipple. Sarah died between the May 1690, birth of last child, and the May 1692 marriage of Henry and Anne Longfellow. Henry and Anne had a further eight with Anne, who had already had six children from her first marriage. By his early twenties, Nathan had made his way up to Hampton in New Hampshire. 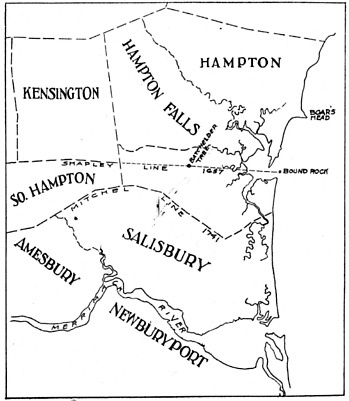 Beginning in 1711 Nathan began buying tracts of land in and around Hampton and Hampton Falls. His name appears on at least 20 deeds, mostly as the buyer. In 1713 he married Mary Green, daughter of Captain Jacob Green of Hampton Falls. Mary's family had been very prominent in Hampton and her father was quite well to do. Given the amount of land that Nathan was able to accrue, he seems like a shrewd businessman himself. At the time of their marriage, Mary was twenty and Nathan twenty three. Nathan, like his father in law, was a member of the local militia. In 1707 he was in Captain Joseph Swett's Company. He may have been one of 31 men who marched to Saco, Maine to relieve the harried occupants of that town, who were under constant threat of Indian attack. 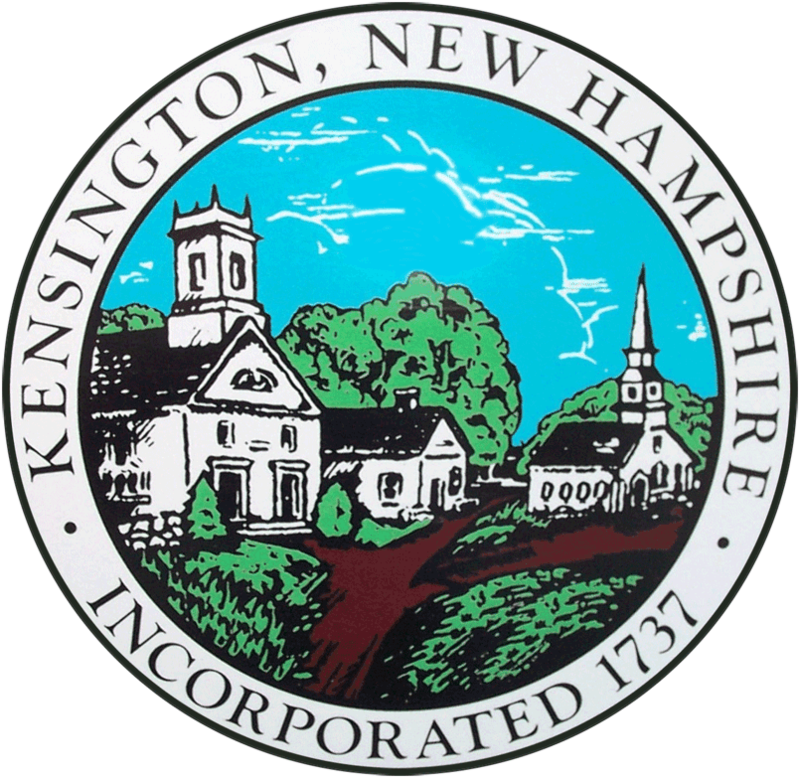 Things were so bad that in the nearby town of Kingston, men who had abandoned the town were forced to go back to defend it. 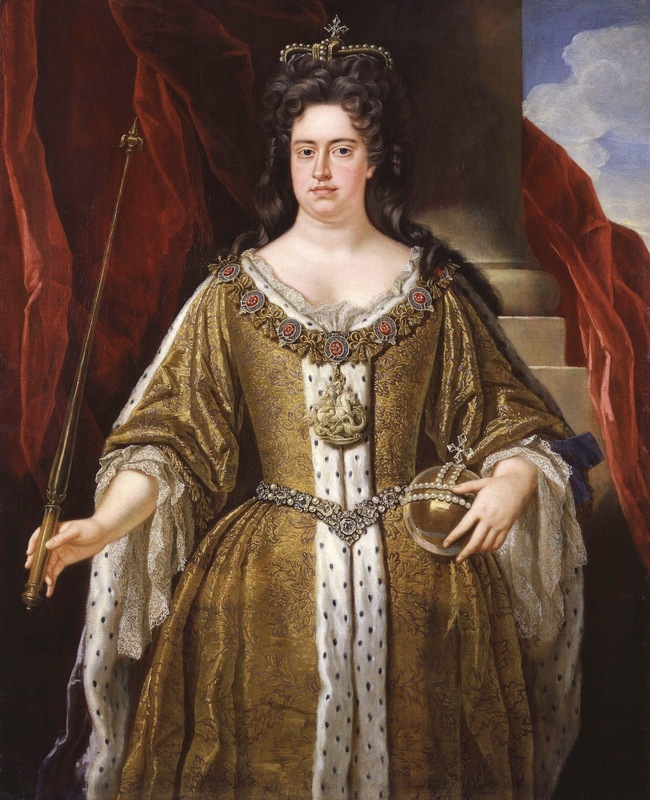 This period of fighting was known as the "War of Spanish Succession" on the continent, and "Queen Anne's War" in New England. It was the second of the French and Indian Wars.The French and their Indian allies were pushing back against English expansion into Acadia. They considered the border to be the Kennebec River. Many of their attacks were focused on the towns in Southern Maine, then part of the Massachusetts. The towns of New England, almost from the onset of their existence, had constant squabbles over their boundaries. Many of my ancestors were chosen to "run the line" between two towns. But these disputes also existed between the province of Massachusetts and the province of New Hampshire. Do you live in the southern most part of Hampton, New Hampshire or do you live in the northern most part of Amesbury, Massachusetts. What difference did it make, you ask, well it made a lot of difference to the tax man. 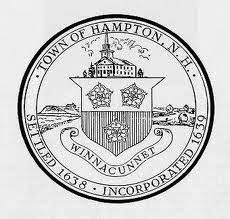 In 1719-1720 Nathan Longfellow served as the constable for the town of Hampton. One of the constable's duties was to collect the town rates or taxes and deliver them to the Province. During his tenure there was an ongoing dispute over the exact location of the border. Nathan tried to extract rate payment from several men who claimed that they lived in Massachusetts and had already paid rates to Salisbury. Nathan confiscated livestock from some as payment and went so far as to arrest men who refused to pay. The Secretary of Massachusetts, Mr. Willard, wrote to the Lt. Governor of New Hampshire complaining of Nathan's tactics and behavior. The Salisbury men did not take this lying down and Nathan found himself imprisoned in jail in Salisbury. I don't know how long they held him, but I'm sure their system was not as efficient as it is today and I don't know if you could post bail.He petitioned the New Hampshire Council for loss of money while doing his job as constable. It seems he did not take the position of constable again. Interestingly this border dispute continued until 1953 when the New Hampshire Supreme Court fixed to border at Bound Rock. 1. Jonathan (age 16): 40 Acres in Kingston that he bought from Samuel Dow and 1/2 of a 12 acre lot that he bought from Thomas Loveit. 2. Jacob (age 8): 60 Acres in Kingston that he bought from Samuel Dalton and the other half of the 12 acre lot. The improvement on the 60 acres of land he bought from Jacob Stanyon, until Jacob turns 21 and inherits the land from his Grandfather Jacob Green. 3. Sewall (age 6): Two lots of land in the Grass Swamp, each twenty acres, one bought from Joseph Swett and one from Elias Chance, 1/2 a twenty acre lot running up the Red Oak Ridge and 50 acres of land in Kingston that he bought from Joseph Cass. 4. Nathan (age 1): A home lot of 16-17 acres he bought from Caleb and John Swain, 40 acres laid out by the Province lot layers, 8 acres he bought from Joseph Stanyon, a 16 acre lot he bought from John French and a 16 acre lot he bought from Jonathan Godfrey. 5. Anne (age 11): A 100 acre lot in Kingston bought from Thomas Ward, 1/2 the common rights he bought from Jethro Tilton and Jacob Moulton. 6. Abigail (age 2) A 100 acre lot in Kingston bought from Edward Shaw and the 1/2 common right he bought from Tilton and Moulton. 7. Unborn Child - Green: if he lives 60 acres he bought from Jacob Stanyon, (this is the lot he gives to Jacob until he turns 21, then it turns over to Green. 8. Mary his wife: His dwelling house and barn and all the land enjoyned to them that he bought from Captain Joseph Swett for the rest of her life and then they are to be divided between Jonathan and Jacob. On the 15th of January 1731 Nathan died. His estate was inventoried and was valued at over 2000 pounds. Administration of his estate was given to his widow Mary and his oldest son Jonathan. Mary was made guardian of all her children, including Green who was born in April. At a probate court held on 6 March 1731/2 Mary was officially made the guardian of all her children save Jonathan who was old enough not to require a guardian. For some reason, Mary gave up guardianship of her oldest daughter Anne, on 6 August 1733. Joseph Norton of Hampton was appointed her guardian. Why was she put out of her home, was it like an apprenticeship, was this normal, was this unusual? I don't know. What I do know is that about three weeks later her mother remarried. On 27 August 1733, Mary Green Longfellow married Joseph Macress. Joseph was born in Salisbury and was a Cooper by trade. He married his first wife Sarah Dole in about 1707 in Hampton Falls. They had two daughters, what became of them was not recorded, nor was the death of Sarah his wife. In an interesting note, one of the men who endorsed Mary as guardian was a Stephen Greenleaf; he was married to Mary Marcress, Joseph's sister. His other sister, Lydia Macress, was married to a Perkins and lived in Hampton. Joseph's mother was Lydia Fifield and she was related to all the Fifields in Hampton. In December of 1734 Joseph, with Mary's permission, sold some of her land that she had inherited from her father Jacob Green. They appear to have been living in Salisbury. On 3 September 1736, Mary's oldest son Jonathan, now 22 and having reached his majority, was given guardianship of his fourteen year old brother Jacob. These two brothers would inherit the lion's share of their grandfather's estate as well as getting quite a bit from their father. In fact Mary and her husband executed a deed in April of that year with Jonathan splitting his inheritance off from her and Jacobs share. Jonathan was in possession of his own land, did he want control of Jacob or Jacob's estate. Again, was this a mutual happy decision? On December 20, 1740 Mary's remaining children, Abigail age about 12, Nathan age about 9 and Green about 7 years of age were given to Joseph Wadleigh of Hampton. Guardianship of a child meant that not only did you have to take care of the child, educate them, and prepare them for adult life, but you also had guardianship over their inheritance. Was Mary, or more likely Joseph Macress, not considered able to aptly administer to her children's inheritance. Was this why they were taken out of the home? Guardians were also reimbursed for their care, and they could use the property of their ward. Joseph Wadleigh seems to have farmed poor Green Longfellow out to a man named Timothy Hilliard. He was a farmer in Hampton Falls. In 1742, Mary Macress petitioned the court on behalf of Green, saying he was not being well treated and did not have enough to eat. She claimed he was poorly clothed and not receiving any education, and worst of all his inheritance was being squandered. She asked that she being his natural mother be given guardianship of her person and that someone else be given guardianship of his inheritance. This must have been heartbreaking for a mother to see her young child in such a condition. I don't know what the courts decision was but Timothy Hilliard died poor and in debt in 1745 in debt and his young children were taken from their mother and given to his brother. Okay people, repeat after me, Mary did not die in 1742. She did not give up guardianship of children because she was too ill to care for them. She was alive and well and living in Salisbury. After the death of Joseph, which was not recorded, she appears to have returned to the Hampton Falls area. In 1758 Jonathan Gove, in a deed, released to Mary Macres, widow of Joseph, all the land that he held that originally belonged to either Jacob Green or Nathan Longfellow. This Jonathan Gove had been given guardianship of Mary's son Nathan. I wonder if there was a dispute about getting control of Nathan's inheritance back. In any case, Mary was alive and kicking in 1758. Her name appears in several more deeds. In 1763 she sold land to Nehemiah Brown, her son in law, who had married her daughter Anne. This is the last time that I can find her name. There is no record of her death or where she was buried, but if I had to guess it was in Hampton Falls. Mary would have been about 70 years old in 1763.